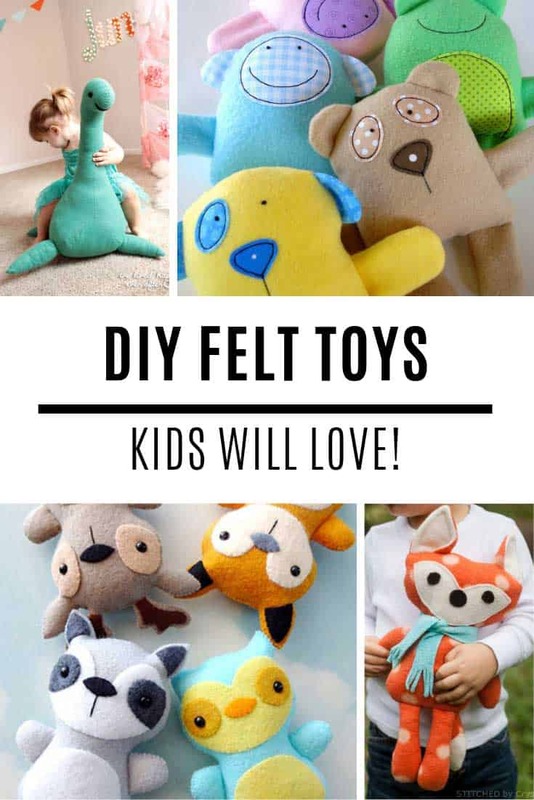 Home > DIY Projects > These Adorable DIY Mini Felt Dolls Will Become Favourite Playmates! 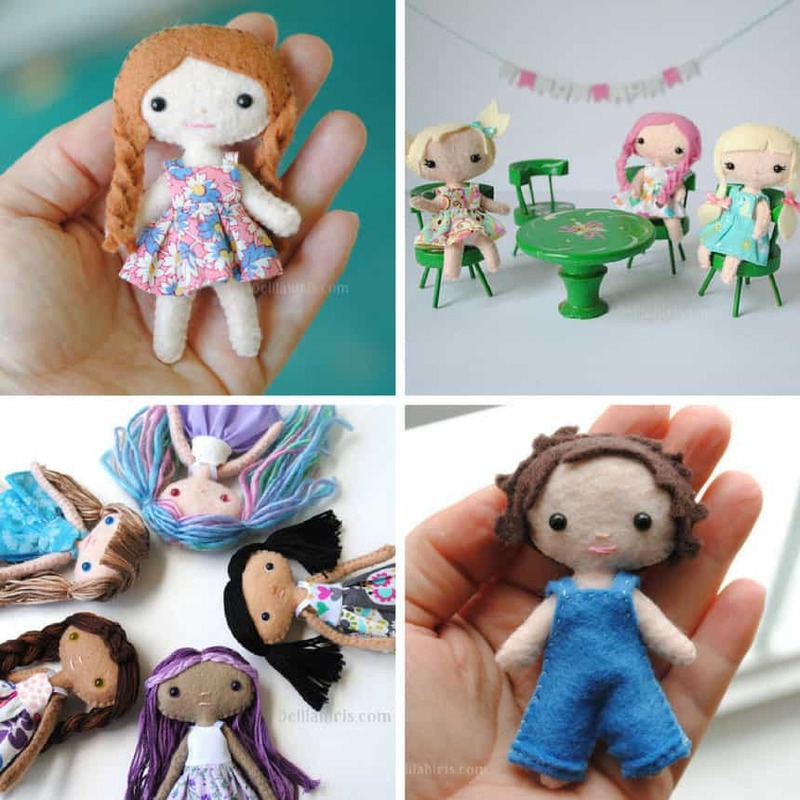 It doesn’t get more adorable than these miniature felt dolls! 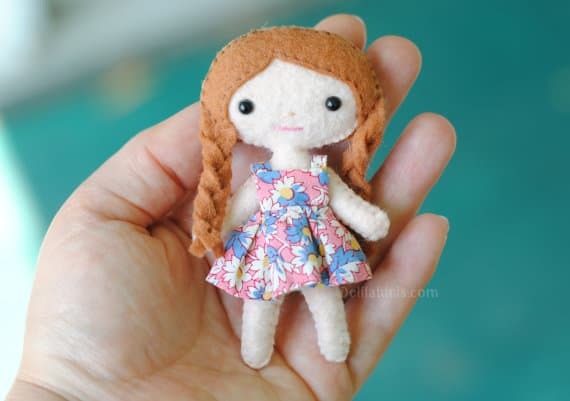 The pattern and tutorial is easy to follow and these pocket sized dolls are pose-able too! These adorable felt dolls make perfect pocket-sized friends, and they’re fully pose-able too! 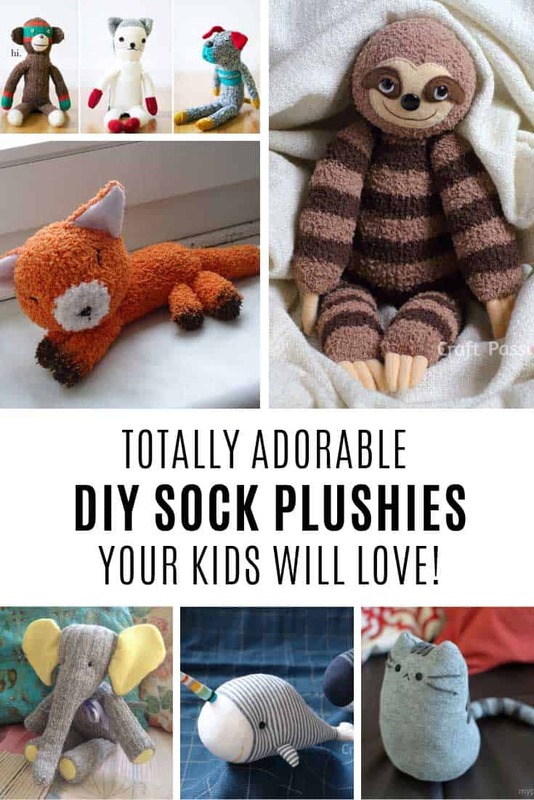 They’ll be such fun to play with at home, or on a road trip or for keeping your child entertained while eating out. The sewing pattern is super easy to follow because there’s a tutorial too. 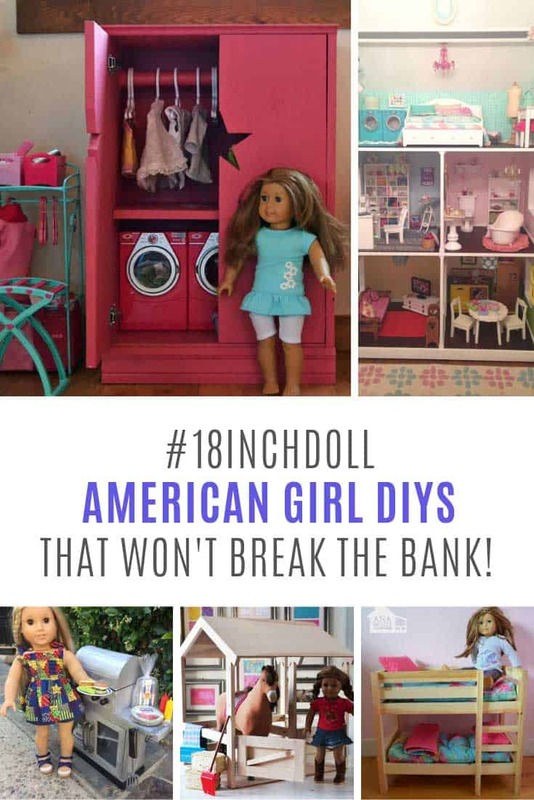 Not only does it show you how to make the 4 inch tall doll with her pose-able arms and legs but also how to make her teeny dress and underwear! The doll and her clothes are all hand sewn so this is a project you could do with an older child. This 4 inch doll looks so cute with her teeny braids. If you used yellow felt for her hair she’d make the perfect Rapunzel! This pattern and tutorial shows you how to make 5 inch tall dolls complete with super cute fringe boots and a removable dress. I love the long yarn hair on these dolls that can be styled by your child. Pick out the right colours for the hair and you could make a set of Equestria Girl style dolls! This pattern is for three dolls. 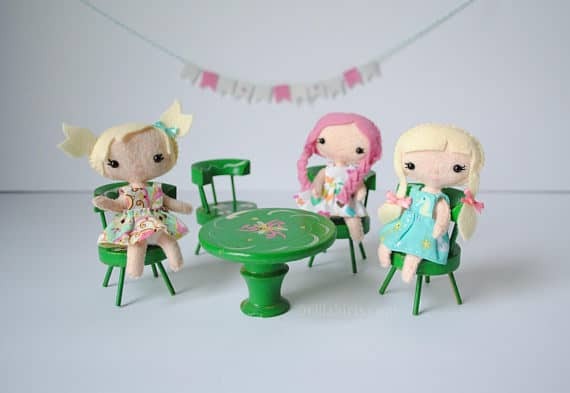 Meet Lola, Suzy and Sassy who love to have tea parties together! 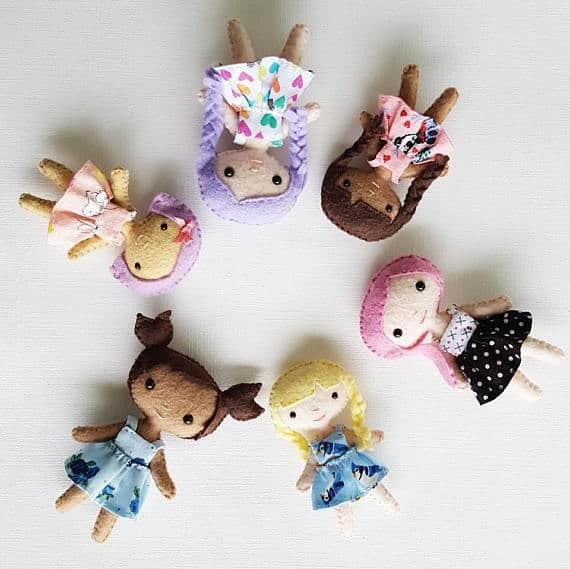 These Kawaii style mini dolls are quite adorable and would just love to move into your dolls house. If your daughter prefers playing with fairies this set of flower pixie felt dolls would be the perfect choice. 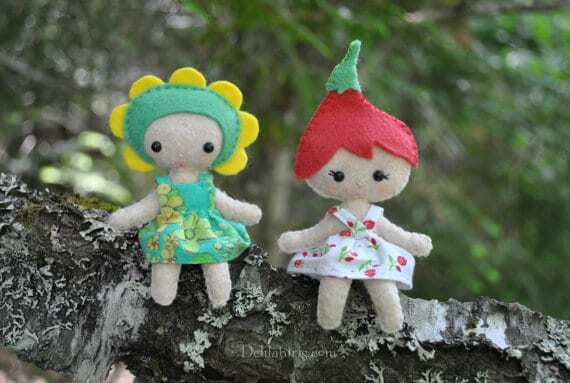 The pattern shows you how to make both styles of these little fairy dolls, I just love their hats! 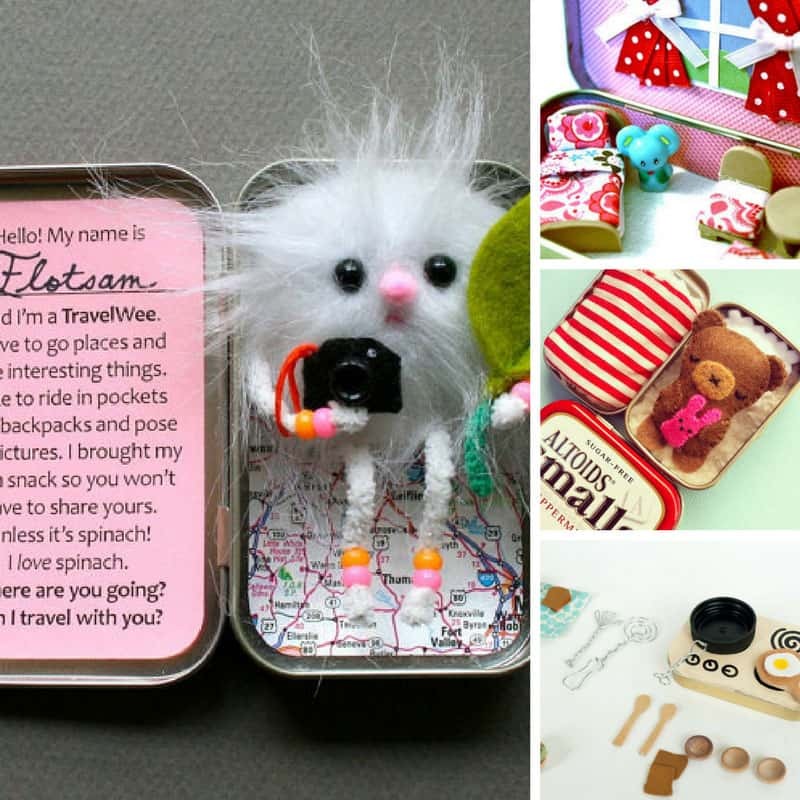 And little boys can have pocket playmates too of course! 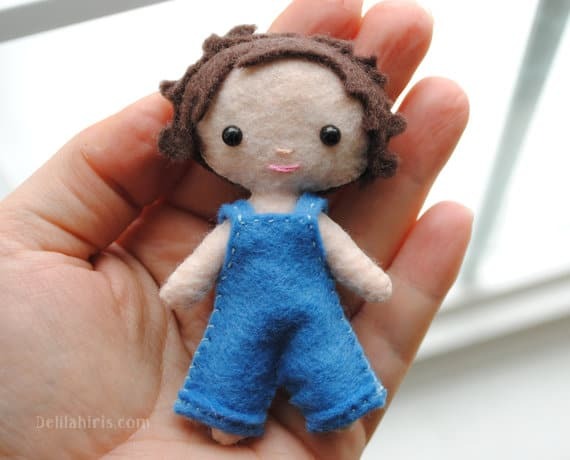 How about making this little guy with his curly hair and adorable overalls! 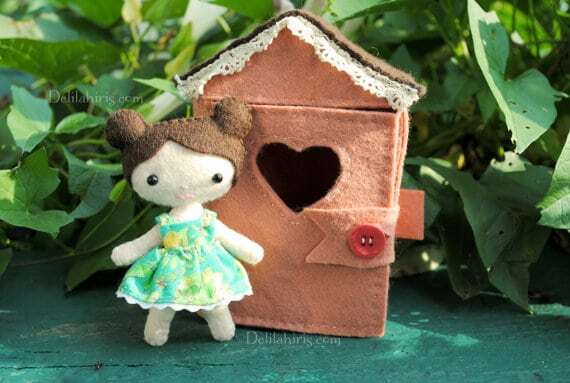 If you want your child to be able to play with her pocket-sized doll when she’s away from home you can also make her this tiny felt house which is the perfect size for one of the 4 inch dolls to live in. 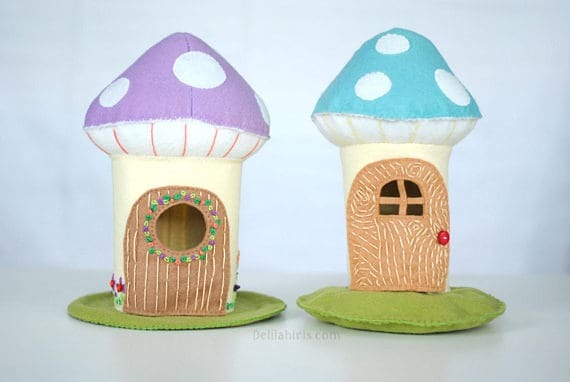 Or this last pattern will show you how to make an adorable Toadstool house. It’s 9 inches tall and the perfect home for one of those flower pixie dolls! If you don’t have time to gather the materials and make one of these dolls yourself you can always have Delilah Iris make one for you. You can submit a custom order here.